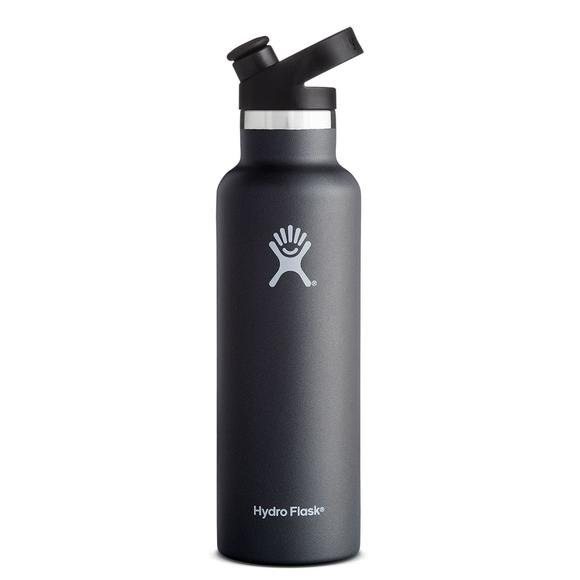 They're pretty much the perfect pair: Hydro Flask's 21 oz Standard Mouth Bottle and their insulated Sport Cap. Together, they're your go-anywhere hydration companion. It stashes easily in a small shoulder bag, your pack's side pocket, or your car cup holder, and holds enough to keep you going for hours without weighing you down. They&apos;re pretty much the perfect pair: Hydro Flask &apos;s 21 oz Standard Mouth Bottle and their insulated Sport Cap. Together, they&apos;re your go-anywhere hydration companion. It stashes easily in a small shoulder bag, your pack&apos;s side pocket, or your car cup holder, and holds enough to keep you going for hours without weighing you down.